Tornado lamp reviver is a light fixture accessory designed to function with any type and size of a lamp. 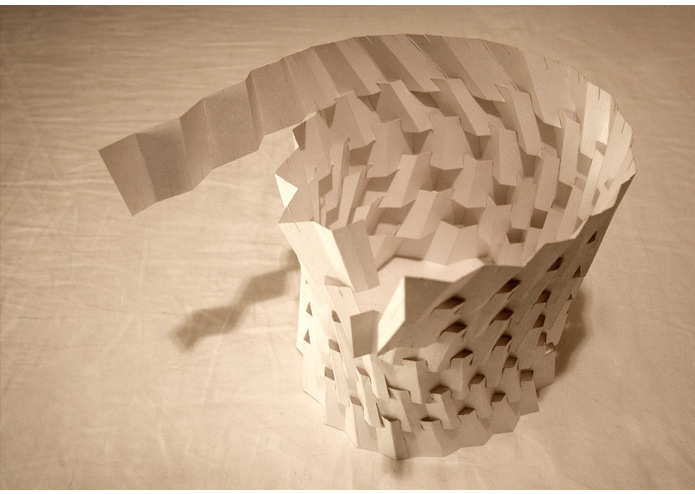 The folded lamp shade is self supporting and constructed without any tools or adhesives to hold its shape. Modular design framework allows multiple combinations of the standard piece - like a tile or wallpaper with repetitive pattern. 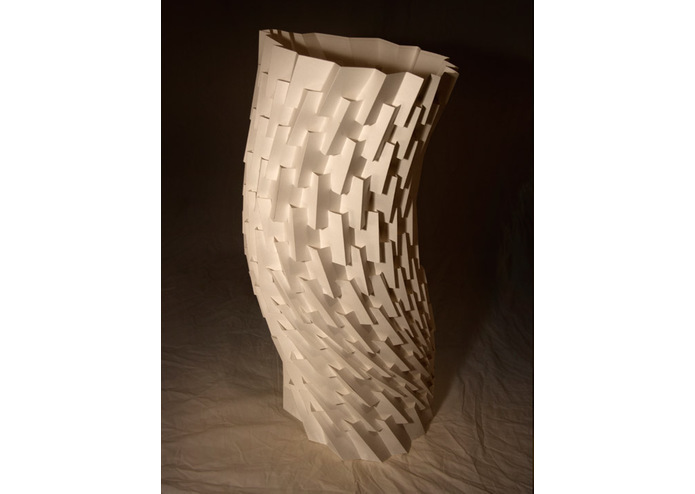 Parametric algorithm can produce either standard modular units or can be customized for each individual piece. 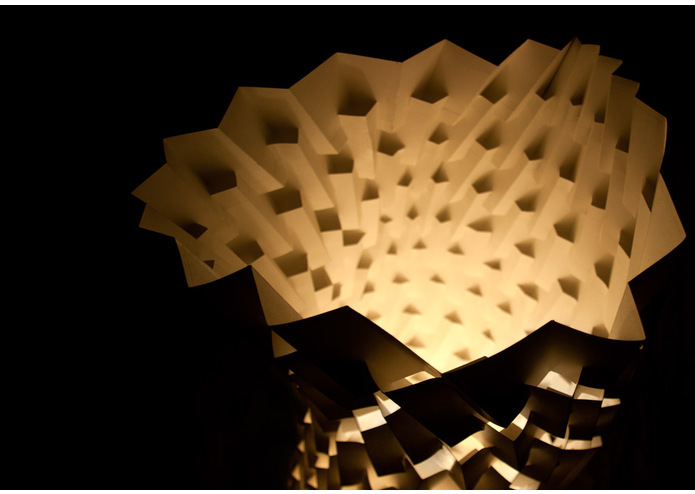 User could define lamp’s size, density of pattern, shape, color and also material - from paper to thin sheet metal. 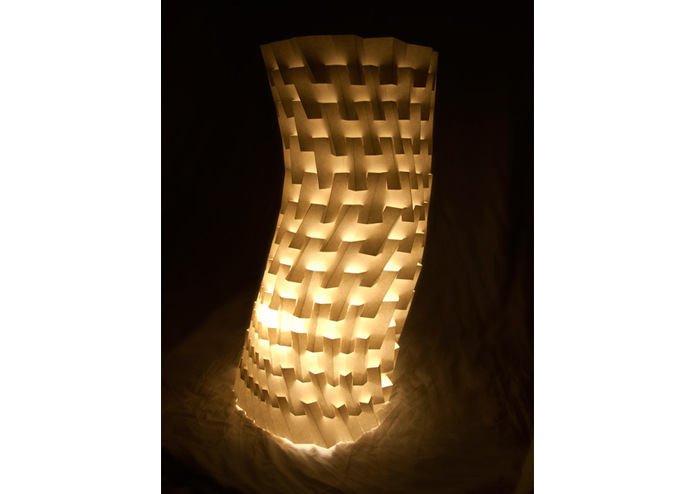 The Tornado lamp primarily comes as a set of laser cut strips that are numbered and etched for easier and precise folding - like a puzzle ready to be assembled. 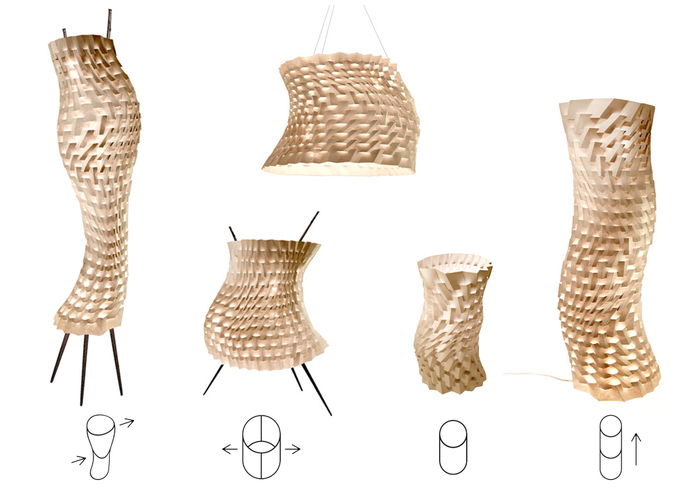 In addition, the preassembled ready-to-use lamp with all components would be available as well.